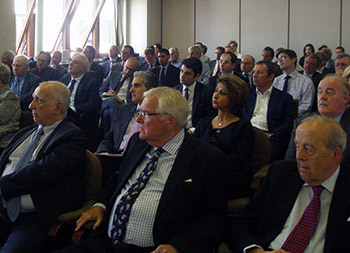 On our web site, you will find information about doing business with Iran, the role of The British Iranian Chamber of Commerce, our counterpart in Tehran, as well as details about services and membership. The Foreign Secretaries of Britain, France and Germany (the E3) have made a joint statement on the establishment of a new Special Purpose Vehicle called INSTEX (Instrument for supporting Trade Exchanges) designed to support trade transactions between European economic operators and Iran. The E3 Foreign Secretaries made it very clear that the three countries have made this move 'to preserve the Joint Comprehensive Plan of Action(JCPOA) endorsed by the United Nations Security Council Resolution 2231.' INSTEX is designed to 'support legitimate trade with Iran , focusing initially on the sectors most essential to the Iranian Population - such as Pharmaceutical, medical devices and agri-food goods.' The statement goes on to note that the E3 and INSTEX will continue to work on operational details, indicating that there is more to do before the organisation becomes fully operational. It also emphasises the need for a transparent corresponding entity in Iran without which INSTEX will not be able to work. Instex will be registered in France and will be headed by German national Per Fischer, a former Head of Financial Institutions at Commerzbank with a very strong background in the Commonwealth of independent States (the former Soviet Union). France Germany and Britain will all be shareholders in the new institution and the United Kingdom will head the supervisory board. The principle on which INSTEX is designed to work is not new: the idea has been around since the late 1920s when it was known as exchange clearing. Iran will need to lodge money in Europe with Instex - presumably from the sale of oil - which can then be used to pay European companies for goods exported to Iran. While oil and pharmaceuticals would cross borders, money would not. This leaves open the question as to how a British company legitimately exporting pharmaceuticals or food to Iran and receiving payment at INSTEX can then repatriate that payment to a UK Clearing bank. Based on what we currently know, this problem has not yet been solved. If the UK government and other shareholders are unable to resolve that difficulty, it may be that the money would need to sit with INSTEX until the banking situation in the UK eases. 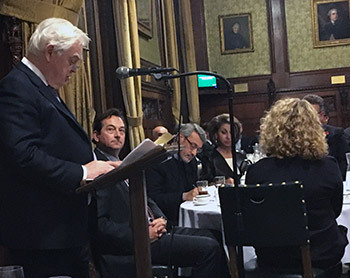 Although a number of operational details need to be addressed, the launch of Instex is significant and encouraging to those of us who believe that the UK must honour its commitments under JCPOA and that the overwhelmingly pressing sectors to address must be those of a humanitarian nature. In time, it may be available for trade in other unsanctioned items. Iran should not underestimate the work that has been needed to get INSTEX set up. Europe has maintained its position in spite of the US pressure. 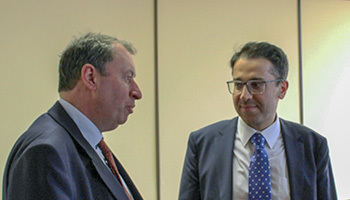 BICC understands the Government and its European partners are working on three initiatives to support transactions with Iran and for this purpose, the E3 and Iran have formed a number of working groups. The first initiative relates to consumer goods and would seek to enhance existing commercial banking relationships between Europe and Iran to maintain payment for consumer goods including food, medical and agricultural goods. The idea is to facilitate European banks processing payments of certain chosen identified Iranian banks. The Government is working with the US to get additional assurances for banks and bring some legal certainty into the situation. This would focus on the Iranian banks most active in consumer goods, are connected to SWIFT and have active correspondent banking relationships to Europe. All this would be done in accordance with regulatory standards particularly relating to AML and CFT. The second initiative is a Special Purpose Vehicle (SPV), essentially a netting mechanism, which will reduce the number of cross-border payments by enabling businesses to settle debts and payments from Iran between themselves. This could be of particular use to Iran in getting paid for its oil. The third initiative is a development of the second and is a larger SPV that will still be a netting mechanism but will have a banking licence to process payments itself. The SPV would eventually become a paying agent or bank, in which EU businesses could have an account, and it would have relationships with Iranian banks. It would be open to Non-EU companies as well and would be regulated and supervised. The UK is fully involved in these discussions, will be a participant and it is assumed will continue to be so even after the UK leaves the EU. BICC requires all Members, as a term of Membership, to observe applicable UN, EU and UK sanctions and recommends that they take account of US and other sanctions law where it might affect them directly or indirectly. BICC is able to provide understanding of the sanctions and help in compliance. For a comprehensive view on this subject, please go to our trade restrictions page. There has been substantial media coverage on these requirements because failure to comply could further reinforce Iran's isolation from the international financial systems. At the time of writing (27th September 2018), a high - level Iranian delegation was in Rome to present to the FATF its progress report on these requirements. Broadly speaking, the actions relate to the following Iranian national laws and international agreements. CFT (countering the financing of terrorism) Law. This completed its way through the legislative process 2-3 months ago. AML (anti-money laundering) Law. This had previously been debated and accepted in parliament, but rejected by the Guardian Council (GC). The Majlis incorporated the guidance of the GC into revised legislation and ratified this yesterday. This now goes back to the GC for its approval. In Iranian official circles, it is believed that given that its opinions have been incorporated into the revised legislation, the GC will approve and ratify this; this could require a further 2-3 weeks, taking it into the middle of October. The legislation will also require the assent of the Expediency Council; however, its comments will not require its being returned to the Majlis, so will not result in further delays. Palermo Convention (covering transnational organised crime). As above. Ratified by the Majlis yesterday. International Convention for the Suppression of the Financing of Terrorism. After rejection by the Majlis and a two-month pause to allow for a review to be conducted by the Majlis National Security and Foreign Policy Commission, this is now back on the floor of the Majlis for debate and will be subjected to the above process. Some reports from within Iran have indicated that the Supreme Leader has approved these amendments. Although there are still details to finalised under points 2 and 4 above, it is clear that the Iranian side is making strenuous efforts to complete these tasks and to conform to FATF requirements within the timeline. It is expected that the FATF will make its decision on Iran's compliance on the 19th October, the final day of the plenary session.